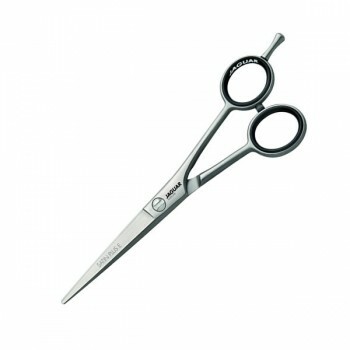 Jaguar Satin Plus are one of the most popular professional hairdressing scissors in the world. The hollow ground and honed blades ooze quality and the comfort of the cut they offer is second to none. Suitable for both standard and slice cutting, the scissors have one cutting edge that is honed and one that is micro serrated. Jaguar Satin Plus scissors also have a titanium like coating which protects against nickel allergies and ensures the scissors stay sharper, longer. We currently have in stock 4.5", 5", 5.5" and 6" Satin Plus Scissors.